Flea & Tick Season is Here – Protect Your Pet! As more families are now feeding their pets natural diets, they are also looking into more animal-friendly and earth-friendly methods for keeping nuisance pests at bay. Natural flea and tick products are nothing new, but modern formulations prove to be more effective than ever and provide a great alternative to conventional chemical-based treatments that can have harsh effects on your pet, family, and environment. But how can I provide my pet preventive measures if chemicals aren’t involved? Many natural products opt for a combination of essential oils, vitamins, minerals, and herbs in lieu of conventional chemical-based treatments. The most popular combination of essential oils is Virginia Cedar, Peppermint, and Almond Oil. These mixes help to change the odor of your pet that fleas, ticks, mosquitoes, and other pests loathe. 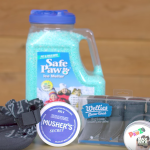 So if you are looking to implement some natural products into your pet’s flea and tick prevention regimen this season, brands such as Vet’s Best and Earth Animal offer some great products to consider. •If you have a pet that spends time outside, a natural, monthly preventive application to your animal is a great place to start. A product like Vet’s Best Spot-On Treatment is a safe alternative to chemical-based topical medications. Another approach is Earth Animal’s Nature’s Protection Herbal Internal Powder and Herbal Drops (Both USA Made) that repel bugs from the inside out while also boosting the immune system for an overall, healthier animal. •Maintaining your yard where your pet spends time outdoors is a great step to take to limit the type of environment fleas and ticks thrive. Any dark, moist areas are places fleas and ticks love to hide. Mowing and bagging lawn clippings, in conjunction with using a product like Vet’s Best Outdoor Fogger or Yard & Kennel Spray to treat a patio, kennel, or favorite shady area can limit the exposure your pet has to fleas and ticks. •Remember, as you are outside this season enjoying time with your pet, frequent inspections should be performed. Using a flea and tick comb will not only help with inspecting your pet for any unwanted visitors, but also helps to naturally exfoliate your pet’s skin. •In the event you do find your pet has fleas or ticks, acting quickly is key. Bathing with a natural herbal shampoo, such as Earth Animal’s Nature’s Protection, using flea and tick wipes, and sprays are great ways to rid your pet and home of unwanted pests. Don’t limit your cleaning and preventive measures to the outdoors. Cleaning indoor areas as well, spraying down furniture and washing your pet’s bed with hot water are crucial to eliminating the pests. •BONUS (CAT) TIP: Never use something meant for a dog on a cat, and vice versa. For example, the pesticide Permethrin, a common ingredient in some tick-prevention products for dogs, is highly toxic to cats. Even some essential oils are also potentially toxic to cats so if you have a dog and a cat, and the cat regularly licks or grooms the dog, read labels and make sure the product is safe for cats. Both Vet’s Best and Earth Animal have safe and effective flea and tick products specifically for cats. Snow has started falling and the countdown to the holidays is well underway. As you start planning for your festive meal this year, don't forget about our furry family members as well. Be sure to spoil them with a holiday meal of their own. 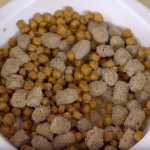 Have you experimented with dehydrated or freeze dried food for your furry family member? 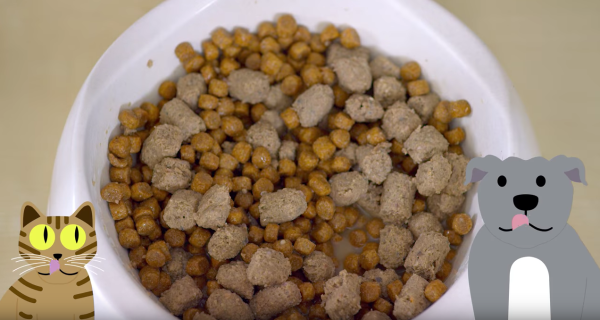 We at Bentley's know not everyone wants to or can try these alternate feeding options, but we'd like to educate you on the benefits of it and give you a guide to incorporate these alternate foods into your pets everyday routine. The holidays are here and we can't forget to spoil our furry family members. Check out some of our favorite stocking stuffers to spoil your feline family this holiday season! Does your furry family member itch all the time, chew their paws, or smell like a bag of Fritos? These all can be signs of minor skin and coat issues. Today we're here to chat about keeping your furry friendâs skin and coat looking good and smelling fresh. Have you noticed your furry family member is a little slow to get around or not able to jump on to the couch? When one of our furry friends begins to suffer from a chronic joint disorder, it's often due to the inability to keep up with their body's need glucosamine and other sulfates and acids. This means it's time to to look elsewhere to help supplement your furry friend's diet with products that will keep them jumping for joy. Is your furry family members breath off putting? Do you find yourself pulling away from pupper kisses? It is estimated that 85% of our furry friends have a type of periodontal disease by age three. Today we'd like to share some quick tips to keep your furry feline's and pups teeth healthy.